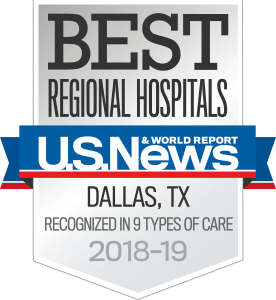 UT Southwestern Medical Center uses the latest imaging technologies to conduct more than 5,500 innovative, minimally invasive surgeries annually. We specialize in the use of vascular and interventional imaging techniques to diagnose and treat a variety of cardiovascular disorders, including peripheral vascular disease, aortic, and peripheral aneurysms; deep vein thrombosis; varicose veins; and circulation dysfunctions in the liver, kidneys, and intestines. With unique procedures and technologies such as kyphoplasty, angiography, vertebroplasty, and radio frequency ablation – in addition to the more standard computed tomography (CT) scans and magnetic resonance imaging (MRI) – our vascular and interventional radiology specialists can visualize internal organs while performing surgeries with minimal disruption to your body and overall functionality. Our interventional radiologists are widely recognized by their peers as experts in the use of advanced medical technology to accurately diagnose and effectively treat a variety of conditions and disorders. Our specialists provide a wide array of radiological procedures that enable them to employ minimally invasive treatments that help patients avoid open surgery and have faster recoveries and shorter hospital stays. In conjunction with the Department of Cardiovascular and Thoracic Surgery and Division of Vascular Surgery, we have a large endovascular practice that includes placing stent-grafts for thoracic and abdominal aorta aneurysms. We also treat hepatic neoplasms and vascular malformations.